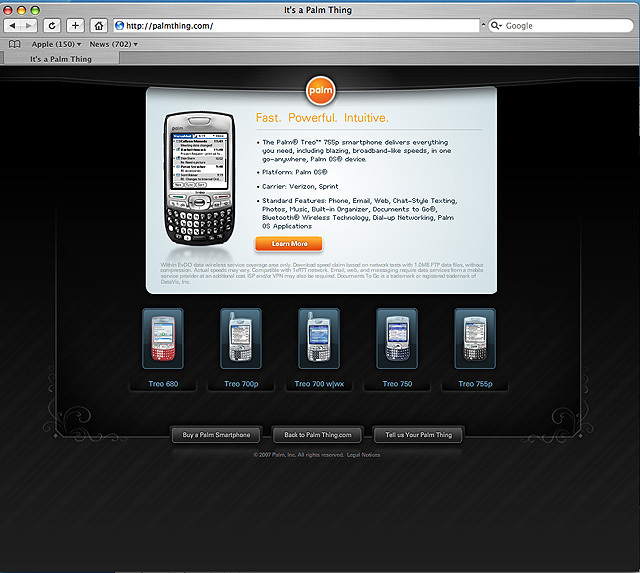 A new Palm promotional website PalmThing has Verizon listed as a carrier for the Treo 755p. This has been speculated for quite some time and there has yet to be an official announcement from either Palm or Verizon. If you visit Palm’s new promo site PalmThing and select the Treo 755p, Verizon will be listed among the available carriers. Thank to a forum member for the find.